Your child should be enrolled in the month s/he turns 2 years of age. Park Orchards Kindergarten has a comprehensive Enrolment Policy, outlining how places are allocated. 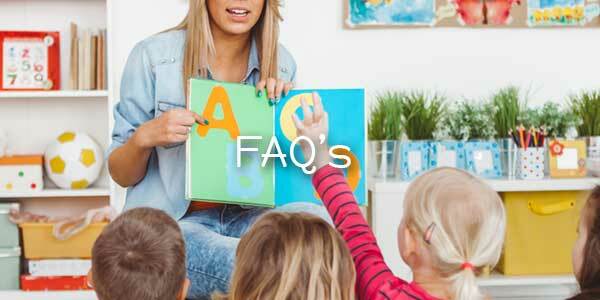 When will I know if my child has a place at Park Orchards Kindergarten? Offers for enrolment are made at the end of May in the year prior to attending. Are children in the 3 year old program automatically offered a place in the 4 year old program? Yes! Please refer to our Enrolment Policy to read about how places are allocated. When can my child start 3 year old Kindergarten? In line with our Enrolment Policy, children must turn 3 before the end of January in the year they will attend. When can my child start 4 year old Kindergarten? Children attending the 4 year old program must turn 4 on or before 30th April in the year they will attend, however we do encourage parents to discuss their child’s enrolment with staff if their child’s 4th birthday falls in the year of attendance. Should my child be toilet trained to attend? We respect each child is individual and develops at his / her own rate. We encourage families to have begun toilet training and will work to support your child’s development to promote a positive outcome. Children do have toileting accidents on occasion, which are managed sensitively and discretely by educators. We ask each family to keep a complete change of clothes in their child’s bag in case children require changing. They’re also handy for when your child becomes thoroughly immersed in water play outside! My child has additional needs. How will staff support my child’s learning and development? Staff at Park Orchards Kindergarten are dedicated to working closely with families to understand children’s specific developmental or medical needs. We encourage families to be open with us so we can support children to the best of our abilities. We are happy to work with external agencies your child may be working with to ensure a collaborative and consistent approach to their learning. Some children with additional needs who are attending the 4 year old program may be eligible for additional support within the Kindergarten environment. This may include additional training for existing staff, equipment specific to your child’s needs or an additional assistant being allocated to the group. We encourage you to contact us at your earliest convenience to discuss your child’s specific needs. My child has anaphylaxis. How is this managed by staff at Park Orchards Kindergarten? Children with allergies and anaphylaxis must have a current alert page, signed by a doctor, displayed at Kindergarten, along with any medication which is to be used if a child is exposed to their allergen/s. An unassigned EpiPen is also kept at the Kindergarten. Risk minimisation plans are completed for all children with anaphylaxis, allergy and asthma and copies are given to families. All staff have current first aid qualifications and participate in annual updates for anaphylaxis and asthma management. Why is a play based curriculum important? Play based learning is a context for learning through which children organise and make sense of their social worlds, as they engage actively with people, objects and representations. Please provides opportunities for children to learn as they discover, create, improvise and imagine. When children play with other children, they create social groups, text out ideas, challenge each other’s thinking and build new understandings. Play provides a supportive environment where children can ask questions, solve problems and engage in critical thinking. Play can expand children’s thinking and enhance their desire to know and to learn. Play is widely recognised as the best learning tool for children. It is valued, respected and supported by all staff at Park Orchards Kindergarten. What differentiates Park Orchards Kindergarten? Our Kindergarten has a wonderful, community spirit evident in the relationships between staff, children and families. Both our indoor and outdoor environments are large, allowing space for children to interact freely with each other, or find a quiet space to enjoy. Our programs are enhanced by regular incursions, visits from local groups (such as the CFA), annual Art show and membership to Stephanie Alexander Kitchen Garden program. All of these are included in the fees charged by the Kindergarten. What types of incursions and excursions do children participate in at Park Orchards Kindergarten? Children in both the 3 and 4 year old programs are exposed to a range of incursions during the year, which are included in the fees charged. These are planned to enhance the children’s learning opportunities. In the 3 year old program, the incursions may include drama workshops, puppetry and Wild Action – Australian animals, sea creatures. The children in this program may also have a farm visit, meeting at the venue with parents. Children in the 4 year old program may enjoy incursions such as drama workshops, sustainability visitors, hospital program, Seaweed Sally and puppetry. We also arrange visits from community groups, such as the CFA, local police and dentist. An excursion to Healesville Sanctuary is a highlight for the children. We have 22 children in our 3 year old program, with two qualified staff. We also have 22 children in each of our 4 year old programs, with two qualified staff. What is the timetable for each of the groups? Red group is our 3 year old program. Blue and Green groups are for children in our 4 year old program. Does Park Orchards Kindergarten offer extended hours of care? As we are a sessional Kindergarten, with groups running each day, we are unable to offer extended care. 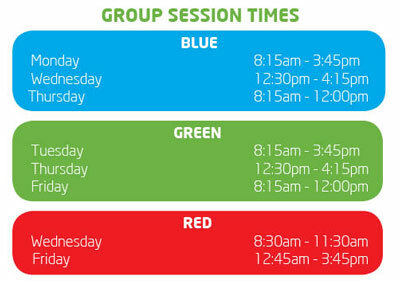 Children attend for their group’s allocated session times each week. Park Orchards Learning Centre, located opposite the Kindergarten, offers Occasional Care for families needing additional hours of care. Staff from this program can be authorised to drop or pick up your child. What arrangements are there for snack and lunch times? Children bring and eat their own snacks and water bottles each day. A table is dedicated for snack times and the children have the decision of when they will eat their snacks during indoor time. Staff will always give a reminder to those who have been busy playing and may have forgotten to eat! Children in the 4 year old program also bring lunch to Kindergarten on their long day. We use this time to sit as a group and eat. All children also have access to a drinking tap outdoors. We feel strongly about the importance developing strong relationships with families and the community. There are many ways to get involved at Park Orchards Kindergarten including spending time helping in the program, donating materials, volunteering your skills (e.g. coming in to play an instrument, sharing a love of cooking or gardening), being part of the Kindergarten Committee of Management or helping care for our hens. Do you have formal parent / teacher interviews? At Park Orchards Kindergarten, we don’t set aside days for formal interviews however we are more than happy to speak with families at a mutually convenient time about their children’s development and participation in the program. You are also welcome to look at your child’s portfolio at any time, which has a snapshot of their learning. How will my child be supported for school transition? Staff at Park Orchards Kindergarten work closely with families regarding children’s skills and readiness for transition to school. Each family is provided with a Transition Statement during Term 4, which is an overview of your child’s development, interests, strengths and suggestions to help with transition. A copy of this is forwarded to your child’s school, with your permission. We have strong connections with local schools and work to ensure a smooth transition for each of the children in our care. Visits are made by Park Orchards Primary School and St. Anne’s Primary School students, to begin the connection with older students. We also use the facilities at Park Orchards Primary School, so children become familiar with a larger educational environment. Does Park Orchards Kindergarten offer a funded Kindergarten program? A funded program is run by Park Orchards Kindergarten for children attending Kindergarten in the year before school (i.e. 4 year old program). A per capita payment is provided by the Government for each child, with the remaining costs levied to families via term fees. What are the fees at Park Orchards Kindergarten? Fees for the 4 year old program are currently $375 per term. In addition to this, children in the 4 year old program participate in Pee Wee Sport (a 15 week physical education program), which is an additional $105, charged with Term 3 fees. And an excursion levy of $25 for the Healesville Sanctuary Excursion and $10 for the Bakery Excursion, charged with Term 4 fees. Also both 3 year old and 4 year old programs incur an annual maintenance levy of $30, this is charged in Term 4 (when the initial $100 deposit is deducted from your fees). Fees are determined annually by the Committee of Management. Parents are invoiced termly. Please refer to our Fees Policy for further information. How is Park Orchards Kindergarten managed? Park Orchards Kindergarten is a community based, not-for-profit early childhood centre. The Kindergarten is managed and operated by a volunteer Committee of Management, elected at the Annual General Meeting each October. The Kindergarten operates under the Children’s Services Act 1996 and Children’s Services Regulations 2009. What happens on Code Red days? In line with Department of Education and Early Childhood Development (DEECD), our Kindergarten is closed on Code Red days. This would be communicated to you the day before the closure, in line with DEECD and Bureau of Meteorology timelines. We welcome you to visit our Kindergarten in action! We encourage interested families to call the centre prior to visiting to ensure we have a staff member available to spend time with you. We also hold an Open Day each May, during Education week.